Get it by Apr 28 to Apr 30 with expedited delivery. 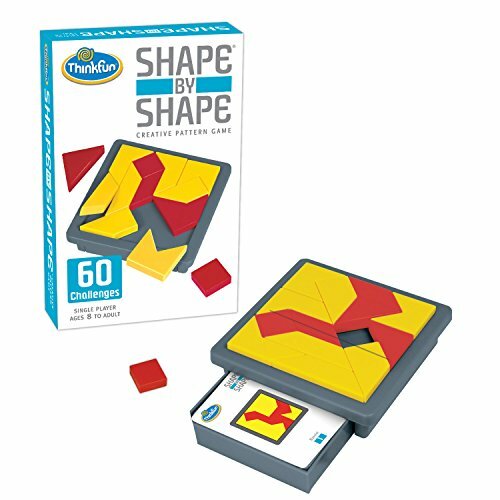 What you get - Puzzle shapes have similar geometry to Tangram pieces, contains fourteen pattern pieces, a game tray, and 60 mind challenging puzzles for ages 8+. Develops critical skills - Players build visual perception and logical reasoning skills through fun gameplay. 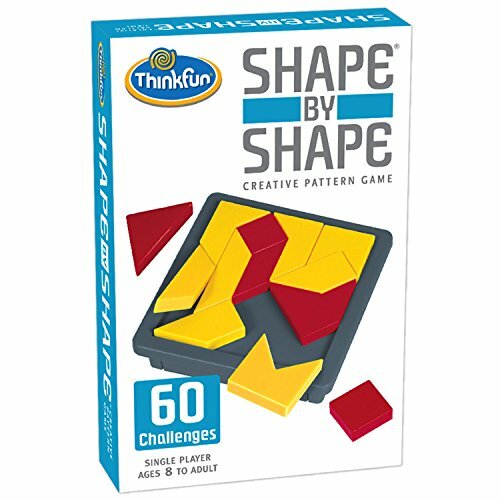 Comes with multi-level challenges - Shape by Shape comes with 60 beginner to expert challenges that become increasingly difficult as you play through them. Award winner - Learning Magazine Teachers' Choice for the Classroom Award, National Parenting Center's Seal of Approval, and more. and visual perception skills, all through fun gameplay. or engineering. 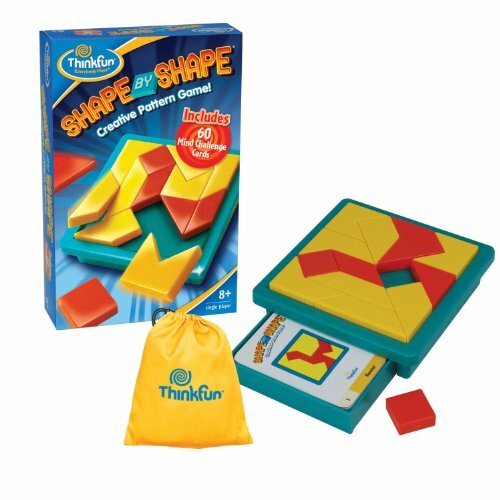 This compact, nicely designed game includes a plastic drawer below the puzzle frame to hold the cards.